Identify the main challenges and opportunities posed by changing climate patterns for sustainable forest management in the EU. Identify new practices and tools that maintain or increase the carbon sequestration and storage potential of EU forests in the long-term while keeping their multifunctional role. Identify the needs of forest managers in relation to adaptation to changing climate patterns in the EU including research and innovation needs- as well as the most promising adaptation practices (e.g. by selecting species, provenances and varieties or specific sustainable forest management practices) while keeping the multifunctional role of EU forests. Identify new practices and tools (including the use of digital technologies) that contribute to improving resilience of forests ecosystems to extreme weather events such as droughts, forest fires, storms and heavy snows, considering all the actors involved in managing the risks resulting from more frequent extreme events. Analyze possible synergies and trade-offs between mitigation practices and long-term adaptation needs. Provide examples of practices and tools to improve mitigation and adaptation of forests, including through better stakeholder involvement and synergies with other sectors such as agriculture and tourism. EIP–AGRI Focus Groups (FG) are temporary groups of selected experts focusing on a specific subject, sharing knowledge and experience. These FGs have been created in the context of European Innovation Partnership (EIP) – Agricultural Operational Groups to collect and summarize knowledge on best practices in a specific field, listing problems as well as opportunities. They identify ideas for applied research and for testing solutions in the field, involving farmers, advisers, the industry and other stakeholders, and propose ways to disseminate good practices. FG experts in the field trip during the 1st meeting. The invited experts presented good practices, projects or tools of their knowledge related to adaptation or mitigation of climate change. In the above framework, the project LIFE+ ENV/GR/000554 AdaptFor “Adaptation of forest management to climate change in Greece” was presented to the audience. LIFE+AdaptFor (www.life-adaptfor.gr) is considered to be one of the very few examples in Greece that promotes a combination of sustainable forest management practices in order to better adapt and mitigate the effects of climate change on forest ecosystems. 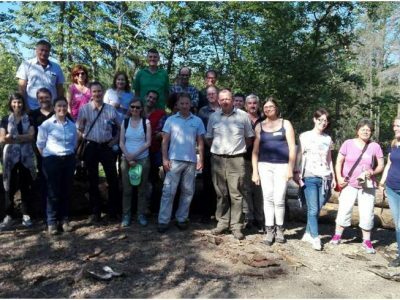 The project has been implemented by The Goulandris Natural History Museum / Greek Biotope-Wetland Centre (EKBY) in cooperation with the Directorate General for the Development and Protection of Forests and the Natural Environment / Ministry for the Environment, Energy and Climate Change (with the contribution of the LIFE financial instrument of the European Community). In specific, the project’s methodology and the measures proposed and adopted for the adaptation of forest management practices to climate change in Greece were presented in the session “Providing examples of practices and tools to improve mitigation and adaptation of forests” by Ms. Evangelia Tsartsou (Executive Authority of ESI Funds on Environmental Sector / Ministry for the Environment and Energy). 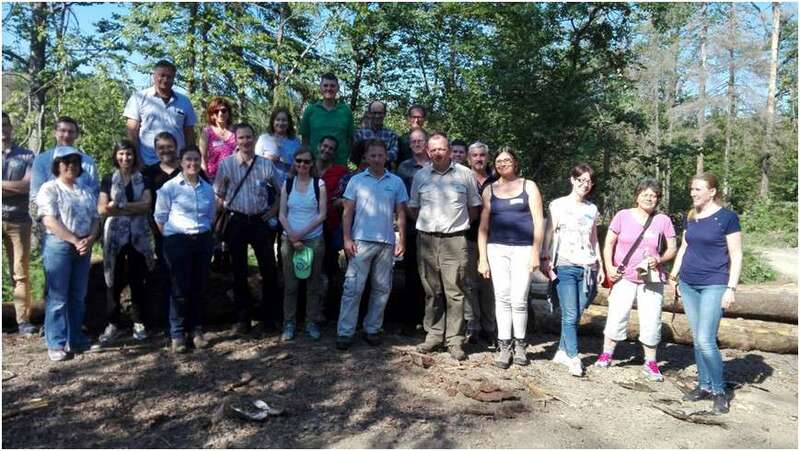 The starting paper of the meeting is available on the EIP-AGRI website (https://ec.europa.eu/eip/agriculture/en/content/focus-groups/new-forest-practices-and-tools-adaptation-and). The 2nd meeting of FG will take place on 22-23 of November 2017.